The final results for the November 6, 2018 General Election are posted below. Please note that some contests cross County boundaries. 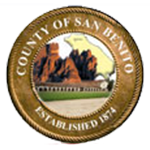 The votes listed below represent only those votes from San Benito County. North County Joint Union School District and Measure X will have additional votes in Santa Clara County. Measures Q & R will have additional votes in Monterey County. The final results are the combination of all votes from both Counties. There are no ballots remaining to be counted, please visit our Unprocessed Ballots page.